When i troubleshoot; during receiving data on the EmonESP it give’s a “Got…” result. So that’s good. But when connected to the EmonTX it will communicate bi-directional. So when the EmonTX recieve known characters it will execute those like show config… like shown in screenshot. In what direction should i search further to get this properly working with this D1 Mini module? Are you asking if it is possible for the 3-phase sketch to ignore the incoming characters that are used for calibration? If so, there is no inbuilt mechanism to do that, can you prevent the receiving device from transmitting the data that is interpreted as a request to show the calibration? Maybe not connect the Tx line on the emonTx? but then you will never be able to calibrate the sketch on-line - you will need to change the calibration constants in the sketch and reload it. 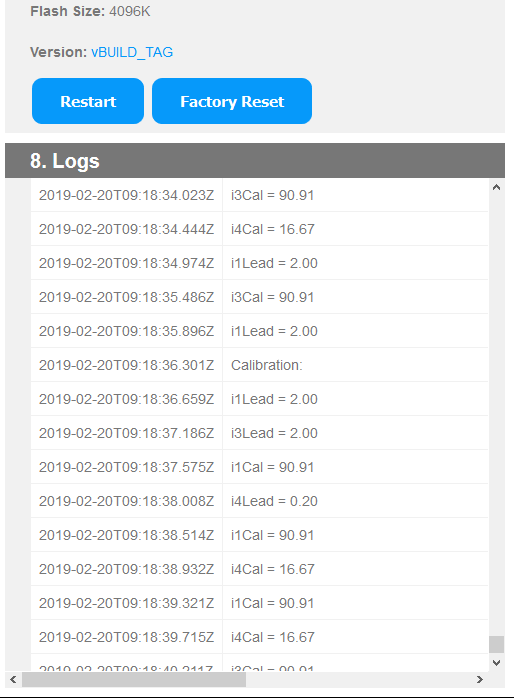 I have taken time to check everything… I ended in disconnecting all, reflash arduino and ESP, connecting and all works fine now. Initially i had to connect the RX also which was strange… That’s why the issue’s exists.